Did you know that singing in a choir improves your health, exercises your brain, and promotes social bonding? It’s been proven by science! Millions of choristers from around the globe can attest to the feelings of wellbeing, excitement, and awe they experience when they sing in harmony with others. Gone are the days when choir just meant ‘pretending to sing at school and/or church’. These days, adults from all walks of life enjoy singing in choirs. And whether you want to do it professionally, competitively, or casually - in all manner of styles - there’s a choir out there for you! 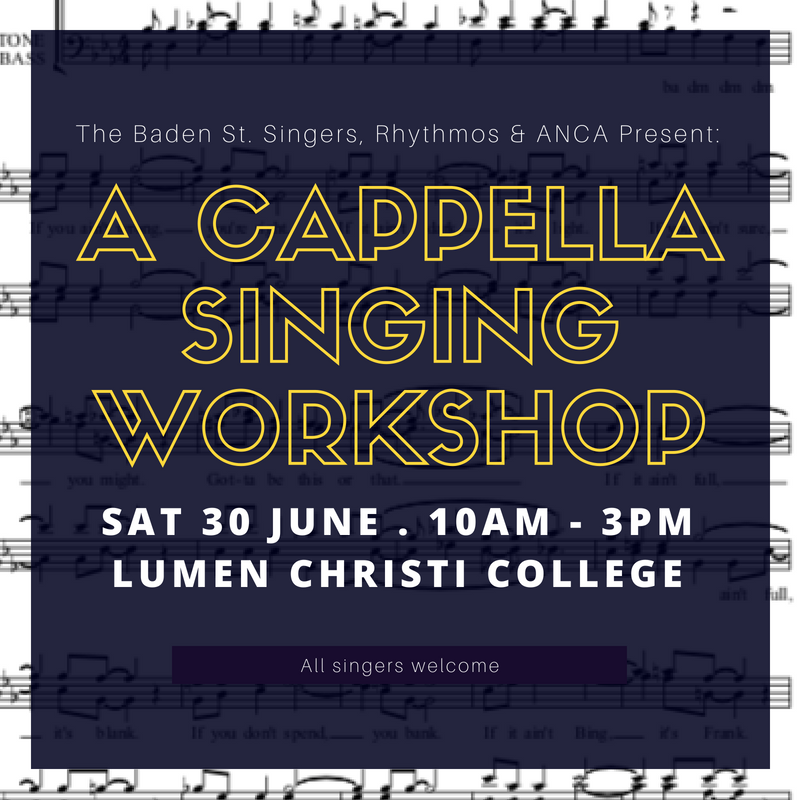 The Baden Street Singers, in association with Rhythmos Choir and the Australian National Choral Association (ANCA) invite singers of all ages and level to participate in their A Cappella Singing Workshop on Saturday 30 June. The all-day event will be held at Lumen Christi College in Martin, WA, running from 10am to 3pm (including a one-hour lunch break). Participants will learn songs in four-part a cappella harmony, creating rich chords and interesting musical textures. The material will feature songs by Lorde, Coldplay and The Beatles, with arrangements by Deke Sharon (Pitch Perfect). 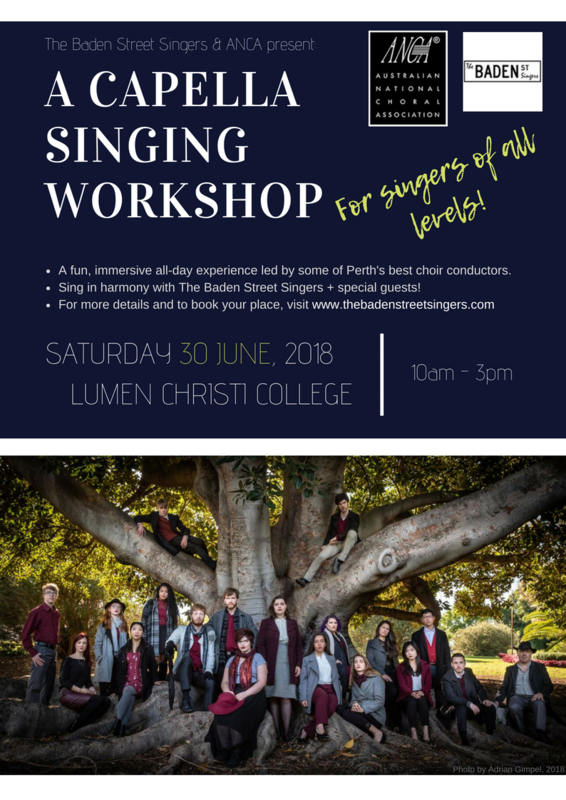 This is a fantastic opportunity to learn about the craft of close-range harmony singing, under the guidance of some of Perth’s leading choir directors. Participants will explore vocal technique, choral blending and a whole range of musicianship skills - applying them to some exciting repertoire in the latest contemporary a cappella styles. Online ticketing will open soon. In the meantime, please send us an email to secure your spot as a participant.